About a year ago, I had the prophetic dream that led to me training for the half marathon alongside my friend. Since then, I’ve run the half marathon, a 10K, and then a 10-mile race this fall. My husband and I also signed up for a Turkey Trot near where we’ll be for Thanksgiving. I have some mixed feelings about this road back to activity. On one hand, my baby is much older now at 18 months. I don’t feel like I need to time long runs around his nursing sessions. This adds so much more flexibility to my schedule and, I think, makes me more likely to complete a workout on any given day. I’m also not getting engorged when I run, so I don’t even worry about it if I’m out for two hours to train or if I’m separated from Felix for five hours on race day. Having an older nursling makes a huge difference in both the physical and mental elements of being away from my baby. Sure, he might miss me, but he’s not starving while Mommy takes a jog! I also feel like fitness is more in the forefront of my thoughts and daily/weekly planning. Even if I don’t specifically block off time to get in a “real” workout, I find I’m making a concerted effort to go on a long walk with the kids. We even bought a sit/stand stroller, since my 4-year-old rarely agrees to walk. Just last weekend, we needed to pick up a gift for my in-laws and our whole family decided to walk to the store, since it was nice out and the trip was a bit over 2 miles round trip. My body is starting to feel more like my own again, like there’s some muscle living inside there. So there’s a lot to be proud of over this past year! I still have so far to go, though. I still sometimes go multiple weeks without taking a run. It just happens somehow, that the week gets the better of me and I have to prioritize grocery shopping and work over even a 20 minute run (which is never just 20 minutes by the time you account for changing clothes, showering, etc.). I think things would be different if my family budgeted for more childcare or a gym membership. Some days, I manage to eke out a workout video routine with the kids clambering about–every now and then they’ll try to do squats next to me, but usually I’m doing pushups with a kid on my back and another one crying about raisins or fish sticks. My nursing toddler sometimes mistakes me leaning over to stretch as an invitation for him to try to nurse…so I’m not always very motivated to try doing these workouts. But, there’s always room for self-improvement and it’s never too late to keep working at it. Right? 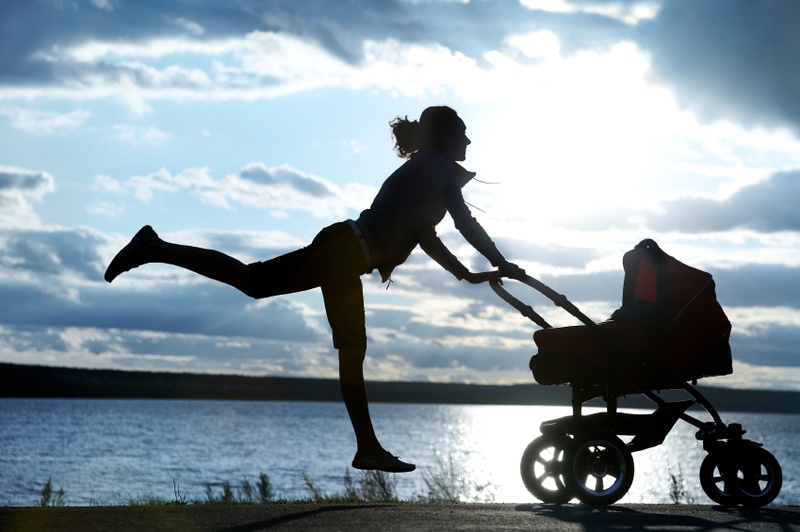 I joined a Facebook group of running mamas with nurslings at home (how’s that for a specific group!) because I know that we can help hold each other accountable and brainstorm solutions to problems like working out with the kids present. Maybe, for 2014, I’ll mark my achievements by how many times I’ve worked my body each week than by completing specific athletic events. Did you have a fitness goal for 2013? Leave us a comment to share your progress!